Backlit poster or lightbox posters as they are otherwise known are designed and produced to fit your lightbox display, which in turn illuminates your graphic. Backlit / lightbox poster printing are great for increasing the impact of your advertising campaign. 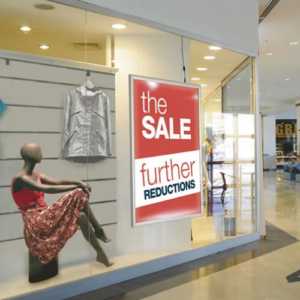 Our baklit / lightbox posters are ideal for lit signage or applying to window displays which can be custom printed and offered in a variety of sizes. Print directly onto translucent film these baklit / lightbox posters offer a real photo realistic quality finish. Choose from a range of sizes like our popular A0, A1 and A2 Lightbox posters or in A3 and A4. We also offer additional sizes so feel free to contact us to know more. Backlit / lightbox posters are perfect for promoting new products or services for retail, trade, exhibition shows, receiption areas, offices and more. Place your order today from below or contact one of our team, we are happy to assist you.